Are front knuckles the same? Betting no. Found some donor knuckles. 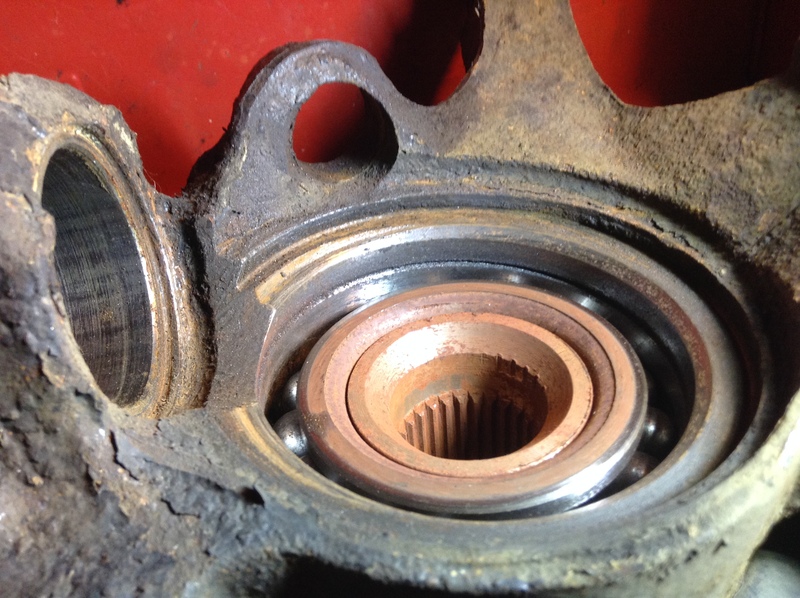 Newer bearings. Good ball joints. $20. Mine are out. But I have not replaced my bearings yet since I do not have a press. Last edited by Cavell; 05-07-2017 at 02:43 PM. C-clip? Don't see it or groove for it. I don't even see the seam between the bearing and the "bore". They are different. I took knuckle into shop and had bearing and ball joint changed. Hub was messed up too. Other side looks ok except for upper ball joint. Replacement Eibach Rear Swaybar Bushing availability?